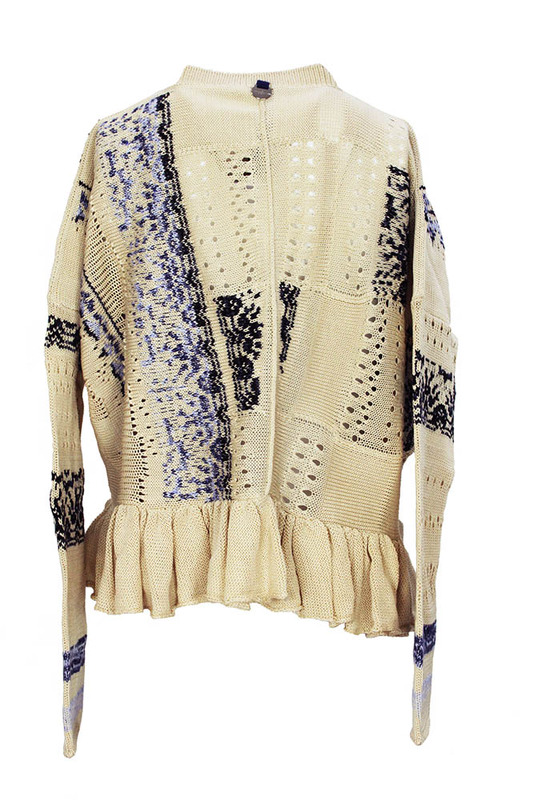 High 'Adore' long sleeved sleeved, short, knitted, zip cardigan blue knitted detail. Round ribbed neck. Double zip with metal and fabric pulls. 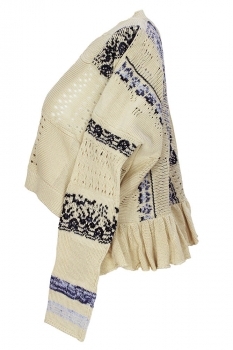 Sand coloured with various shades of blue knitted detail. Lace knit detail throughout. The waistband at the left front is ribbed and on the right front it is short ribbed with rolled detail attached. At the rear there is a central seam detail. The rear hem has a ruched frill skirting. A stunning piece of knitwear, extremely elaborate with wonderful detail.